It is with heavy hearts the family announce the passing of Samantha "Sam" May Jardine on Thursday, March 21, 2019. Born in Moncton,and raised in Havelock, she was the daughter of Ralph and Brenda (McCordic) Branscombe. 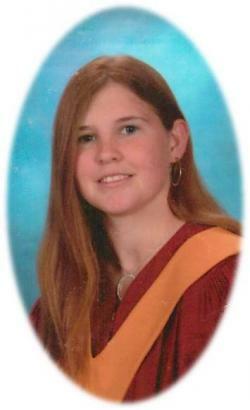 Sam was a graduate of Petitcodiac Regional School and received her Veterinary Technician Diploma from Oulton's College. Time Sam spent away from her boys was with her beloved horse "Maya". She is survived and sadly missed by her parents; her husband Andrew; cherished children Calvin and Theo; brother Sheldon Branscombe (Shelby); father and mother-in-law Ben and Mary Jardine; sisters-in-law Laura Jardine (Craig), Sarah Hennessy (Brian) and Deborah McAllister (Matthew); best friend Roxanne MacLeod and several Aunts, Uncle, cousins, nieces and nephews. Predeceased by her maternal grandparents Henry and Barb McCordic and infant niece Mckenzie. Resting at Salisbury Funeral Home, 3350 Route 106 (372-4800) visiting will be Sunday, March 24 from 2 to 5 pm and from where the funeral will be held Monday, March 25 at 11 am. If desired, donations to a Living Memorial for the Children would be appreciated.